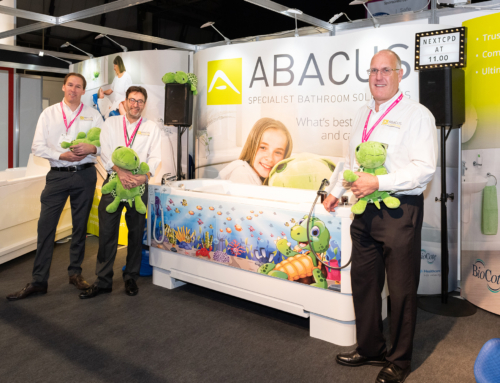 Abacus Healthcare will be demonstrating its popular Gemini and Scorpio power assisted baths, providing free guidance on bath funding and the opportunity to win a cuddly Trevor the Turtle at Kidz-to-Adultz-South. Thursday 8th June 2017, 9.30am – 4.30pm, Rivermead Leisure Complex, Richfield Avenue, Reading, RG1 8EQ. Stand 106. Kidz-to-Adultz-South provides a relaxed and engaging opportunity for parents and healthcare professionals to see the latest products and services for disabled children and young adults. 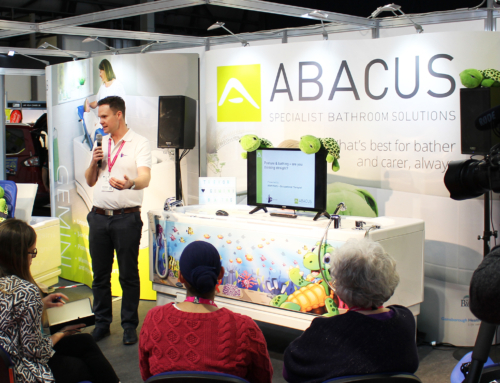 As part of a series of regional shows organised by Disabled Living, Kidz South will showcase the latest innovations from leading equipment manufacturers such as Abacus Healthcare. Abacus is a popular provider of accessible baths and will be demonstrating its Gemini and Scorpio models which are proven solutions for disabled bathers. With its integrated platform and ‘double lift’ height adjustment the Gemini eliminates awkward transfers, manual lifting of bathers and hence potential back injury for carers. The safety, comfort and well-being aspects for bathers will be explained at Kidz South by senior product specialist from Abacus and free printed guides and case studies will be available. This literature will include ‘#BathingIsBetter’ advice regarding bath funding and why bathing is more beneficial than adapted showering. In addition to bath demonstrations and an educational programme, Abacus will be offering the chance for children visiting the show to win a large soft toy known as Trevor the Turtle. Trevor is the new mascot for Abacus and all entrants will be able to enter a free prize draw to take him home for cuddles after bath-time.